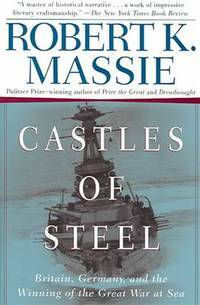 From Castles Of Steel to On To Berlin Battles Of an Airborne Commander 1943-1946, from	Britain's Maritime Heritage to British Seaman, The, we can help you find the armed forces books you are looking for. As the world's largest independent marketplace for new, used and rare books, you always get the best in service and value when you buy from Biblio.com, and all of your purchases are backed by our return guarantee. "Among the best books of this or any other year. 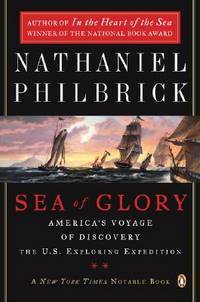 "-Los Angeles Times Book ReviewAmerica's first frontier was not the West; it was the sea-and no one writes more eloquently about that watery wilderness than Nathaniel Philbrick. In his bestselling In the Heart of the Sea Philbrick probed the nightmarish dangers of the vast Pacific. Now, in an epic sea adventure, he writes about one of the most ambitious voyages of discovery the Western world has ever seen-the U.S. Exploring Expedition of 1838– 1842. On a scale that dwarfed the journey of Lewis and Clark, six magnificent sailing vessels and a crew of hundreds set out to map the entire Pacific Ocean-and ended up naming the newly discovered continent of Antarctica, collecting what would become the basis of the Smithsonian Institution, and much more. A former captain in the Marines’ First Recon Battalion, who fought in Afghanistan and Iraq, reveals how the Corps trains its elite and offers a point-blank account of twenty-first-century battle. If the Marines are the few, the proud,” Recon Marines are the fewest and the proudest. Only one Marine in a hundred qualifies for Recon, charged with working clandestinely, often behind enemy lines. Fick’s training begins with a hellish summer at Quantico, after his junior year at Dartmouth, and advances to the pinnacleReconfour years later, on the eve of war with Iraq. Along the way, he learns to shoot a man a mile away, stays awake for seventy-two hours straight, endures interrogation and torture at the secretive SERE course, learns to swim with Navy SEALs, masters the Eleven Principles of Leadership, and much more. His vast skill set puts him in front of the front lines, leading twenty-two Marines into the deadliest conflict since Vietnam. He vows he will bring all his men home safely, and to do so he’ll need more than his top-flight education. He’ll need luck and an increasingly clear vision of the limitations of his superiors and the missions they assign him. Fick unveils the process that makes Marine officers such legendary leaders and shares his hard-won insights into the differences between the military ideals he learned and military practice, which can mock those ideals. 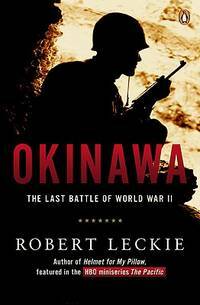 One Bullet Away never shrinks from blunt truths, but it is an ultimately inspiring account of mastering the art of war. Sir John Desmond Patrick Keegan ( 1934–2012), was one of the most distinguished contemporary military historians and was for many years the senior lecturer at Sandhurst (the British Royal Military Academy) and the defense editor of the Daily Telegraph (London). Keegan was the author of numerous books including The Face of Battle , The Mask of Command , The Price of Admiralty , Six Armies in Normandy , and The Second World War , and was a fellow at the Royal Society of Literature.